Arash has been around since 1996. 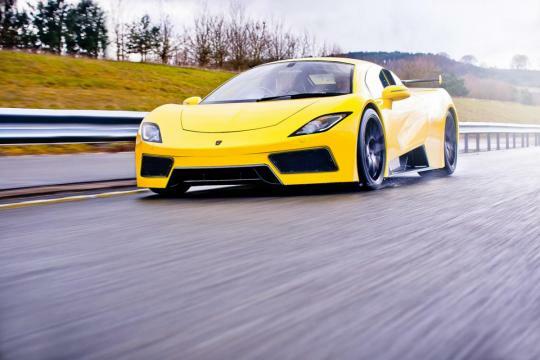 The supercar manufacturer has even churned out a number of models till present, such as the Farboud GT, Farboud GTS and AF10 - though it has yet to make an 'impact' on the market. Recently, YouTube user Shmee150 has presented a video which offers interesting insights on how things works within the small-scale boutique automaker, as well as the company's new AF8 - a 7.0-litre V8 550bhp supercar. Arash has the last generation engine and transmission of Z06 and cost almost twice as much. Makes one wonder how many cars they can really sell. This company and line of cars sounds like just a rich hobby of the founder, Arash Farboud. Just to give examples of how rich he is. Farboud GT became a Ginetta F400... But it's still a epic sports car. Never really heard of Arash before. Maybe it's meant to bespoke supercars?